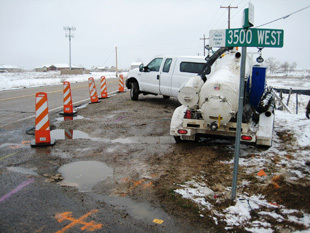 SUE Solutions successfully completed the Quality Level ‘A’ testhole services for the SR-37; 4000 South 3500 West project in West Haven, Utah, for UDOT Region 1 and Qwest Communications. SUE Solutions contracted with UDOT at the request of Qwest Communications for the SUE services to determine the depth of local phone and fiber optic facilities within this intersection which posed a potential conflict with the roadway design. Through the use of an existing “On-Call” contract with UDOT, SUE Solutions was able to mobilize their crew and complete the SUE tasks in a cost effective and timely manner. Project coordination efforts were also performed with UDOT, the project’s resident engineer, project Contractor, and Qwest Communications. 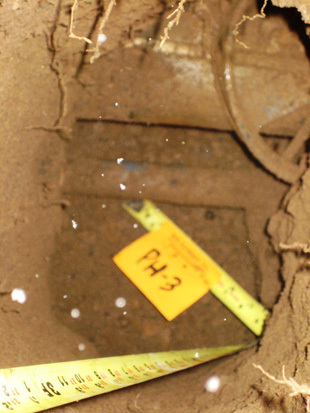 Five testholes were completed where vital facility information was gathered and documented, and photographs were taken. Roadway modifications and widening are scoped for this intersection to accommodate the growing amount of traffic flow through this area. The deliverable to UDOT and Qwest Communications consisted of a comprehensive SUE report, testhole data sheets, and photographs of each utility.